In this article, you will be able to read about some of the best space heaters for RV and our number one pick, which is the Mr. Heater F274830 MH18BRV Big Buddy heater. Afterward, we’ll reveal some important things you should know when buying a space heater for your campervan. RVs are definitely a handy thing to have. They are practical for family getaways and longer or shorter trips. And, since the RV contains basically all the things that one might have in a house or apartment, it’s possible to live in it, as well. Many do opt for this because it’s a cheaper alternative to renting or buying a real estate. Besides, you can move whenever and wherever you want without all the fuss. Naturally, you would want to make an RV as homey as you can, whether you live in it or use it only for travel. Fortunately, you can now do many things to customize it and equip it for any season or occasion. You can install a water heater, a space heater, a TV, and other useful features. And if you are traveling to or living in a colder area, a space heater is a must. Now let’s jump right into our top 3 space heaters for recreational vehicles. This particular Mr. Heater model is modern-looking, efficient, and affordable. Not only is it one of the best RV propane heaters, but it’s also one of the best heaters in general. As we already mentioned, Big Buddy uses propane instead of electricity. Someone with experience might say that this is its disadvantage, knowing how propane heaters can be difficult to maintain. However, this model is quite different. It does all the work for you – there’s no need to clean it all the time or worry about exhaust gases. Besides that, you can save quite a few bucks because a propane heater won’t blow up your electrical bill. It’s easy to use – just set the temperature to whatever you want and wait for it to heat the room up. After it’s done heating and the room reaches the temperature you set, this propane heater will automatically turn off. Even though it’s small and weighs only 16.7 pounds, it can heat up to 400 square feet. You can use it both inside and outside. Another amazing feature this space heater has is an Oxygen Depletion System. This feature enables Big Buddy to constantly monitor the oxygen concentration in the room. If it detects that it is too low, it automatically switches off. Big Buddy also has Tip-Over Detection. So, if it falls over or gets knocked down by accident, it shuts off immediately. These features decrease the chances of any fatal accidents. And, in all honesty, that’s one of the main reasons why it’s our top pick as the best heater for campervan. This model is by far one of the best electric space heaters for RV. It uses a different kind of technology than the other two on this list, which makes it stand out. The technology we were talking about is the infrared heating system. Infrared technology allows the heater to cover bigger spaces. This model, in particular, can heat up to 1000 square feet. Also, Infrared doesn’t dry out the air as much as typical space heaters do. And, as if that weren’t good enough, this heater has a built-in humidifier as well, which will provide you with additional air perspiration. Unlike most low-quality heaters, Dr. Infrared’s heater has a completely silent fan. It’s so quiet because it uses very high pressure. Now you can sleep at night and be warm at the same time. The fan helps distribute the heat evenly around the room. This model is also very easy to use and maintain. It has a remote control from which you can adjust the temperature, humidity, and turn it on and off as you please. And, there’s no need to get up to do so. Doesn’t that sound great? When it comes to cleaning, it’s also very simple. Just remove the filter from the back and vacuum it or wash it. Then wait for it to dry and return it. Just make sure to do this regularly in order to avoid any risks. The most prominent feature of this space heater is definitely its size and weight. Its size is only 6 x 5.9 x 5.2 inches, and it weighs only 4.94 pounds! It doesn’t take up much space, it can fit basically anywhere, and it can be carried around easily. These features make it truly perfect for RVs. Broan Big Heat is also the cheapest of all three heaters on the list. But, don’t let its low price fool you – it is pretty good. Made out of high-quality materials such as stainless steel, aluminum, and ceramic, Broan Big Heat isn’t lagging behind. Its ceramic exterior enables it to warm up and cool down quickly. It has a thermostat that comes with three options you can choose from: high, low and fan-only. Although it may seem like three options are not enough, they are. The ‘high’ setting will heat up the room in the winter nicely, whereas ‘low’ is sufficient for a slightly cold rainy day. Just like the Big Buddy from Mr. Heater, this heater has the automatic shut-off feature. So, in case it overheats or accidentally tips over, it shuts down immediately. As we mentioned previously, safety is a very important feature when it comes to space heaters. Now let’s talk about some of the most important features to look for in a space heater for your campervan. It’s pretty obvious why this feature is important. RVs have limited space, so there’s not much room for a space heater. A space heater for a trailer should be small enough. But, more importantly, it should be lightweight and easy to transport. This feature applies to all situations, not just RVs. The space heater you’re about to buy should have some kind of damage protection. Heaters can be dangerous if they fall over or overheat – it can lead to explosion and fire. So, always consider this when you’re buying a heater. Of course, everyone wants to save as much money as they can. Some electrical heaters can seriously increase the electrical bill, which is not what you want. A propane heater can also cost you a lot if you buy the wrong one. The best types of space heaters are the ones that are worth more than they actually cost. Here’s a bit more about propane and electric heaters. 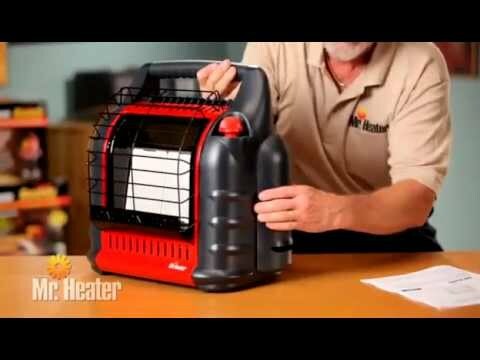 More and more experts are suggesting propane heaters nowadays. They may cost more, to begin with, but they are truly economical in the long run. Gas is currently two times cheaper than electricity. Propane heaters are safer and cleaner than electric ones. It’s really no wonder our number one pick as the best space heater for travel trailer is propane-based. After reading such positive things about propane heaters, it’s hard to imagine how electrical ones could be better. And frankly, they are not. However, realistically speaking, electrical heaters are more common. Propane is not always easy to acquire, and propane heaters aren’t that cheap either. Someone may enjoy the simplicity of electric heaters more, being that they don’t require previous knowledge on propane. They are easier to maintain as well. You should do some research on both types of heaters and figure out which one fits your situation best. It’s completely up to you. Earlier, we presented you with three very different space heaters. What they do have in common is the fact that they are the finest space heaters on the market. All three have very positive reviews, so it isn’t easy to tell which is the best. Again, it’s up to you to decide. It’s affordable. The price seems silly considering how high-quality this product is. It uses propane rather than electricity. We just talked about this – propane is much more energy-efficient than electricity. It’s small enough. It may not be the smallest on the list, but it can still fit into most places. Also, it can heat up to 400 square feet, so we should forgive its size. It’s still easy to transport. It’s safe. Again, this feature is what truly sets it apart from the other contenders. It has an Oxygen Depletion System which enables it to detect when the oxygen is too low in the room and turn off. Let’s not forget about the Tip-Over Detection System either. If the heater falls over, it will turn off immediately. There’s no need to worry about dangerous situations like fire with this handy little heater. So, those were all the reasons why we chose Mr. Heater’s Big Buddy as the number one on the ‘Top 3 Best Space Heaters for RV‘ list. You can check out its price, user reviews and more specifications here!